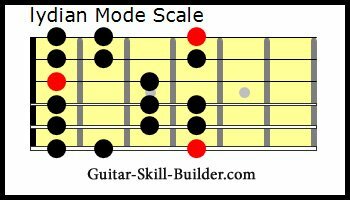 Guitar modes are scales made from the major and minor scales. Each one has a different feel and sound. Some are bright and cheerful, others are soulfull or sad. Experimentation is your best friend for finding your sound. 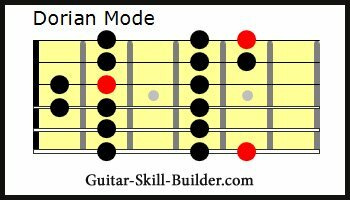 These guitar modes are just the start of learning the vocabulary of music. There are no limits here. Each of the Modes have types of chords and chord progressions that they sound best over. These are talked about on the dedicated page for each type. The Ionian mode is just another way of saying the major scale. This has a upbeat happy feel to it. 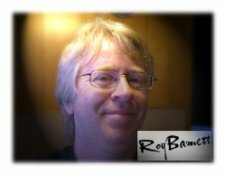 Links to dedicated Page, high quality pdf and guitar pro files. Dedicated page for the Ionian mode. 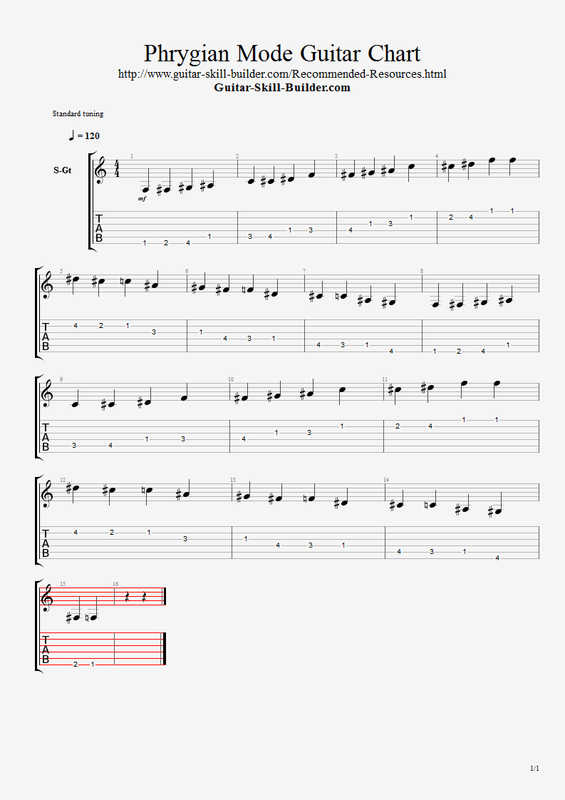 Guitar Pro File for the Ionian Scale, Major scale. 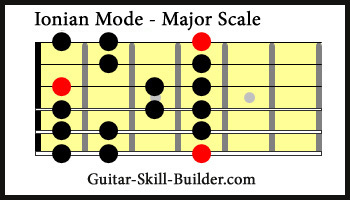 Click on the image below and click full screen button to expand to high quality guitar major scale tab. The Dorian mode has a soulful sound. It can be too heavy and soulful for me. Link to dedicated page for the Dorian Mode. Link to PDF of the Dorian Mode in all 5 positions. 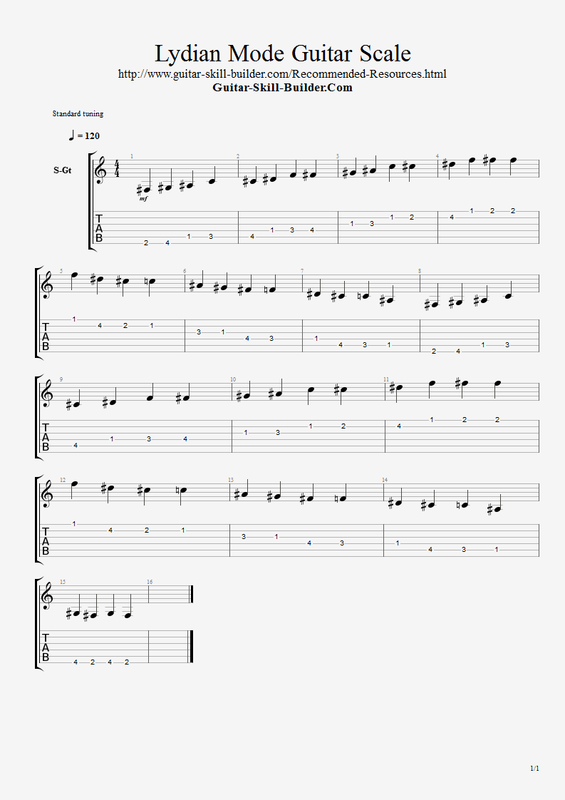 Link to Guitar Pro File for the Dorian Mode with tab. 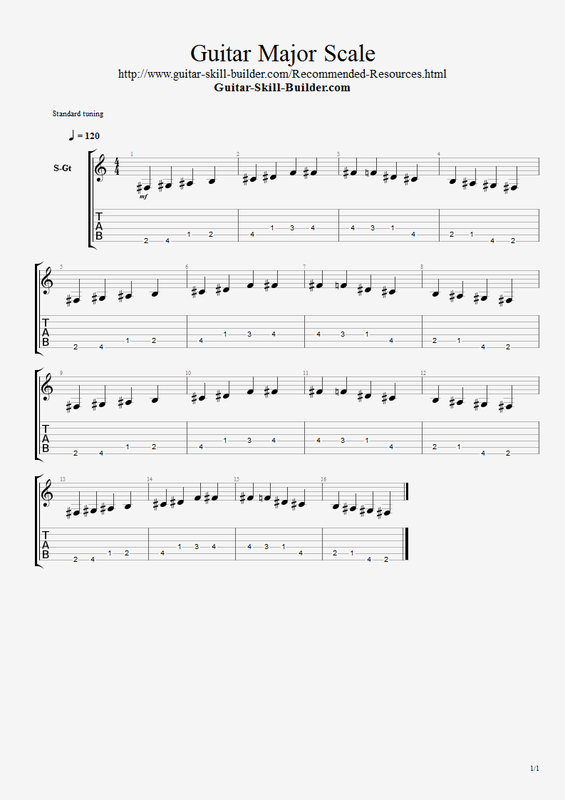 Click on the image below and click full screen button to expand to high quality guitar Dorian mode tab. The Phrygian mode has a distinct Spanish feel to it. Link to Guitar Pro file of the Phyrigian mode. Click on the image below and click full screen button to expand to high quality guitar Phrygian mode tab. 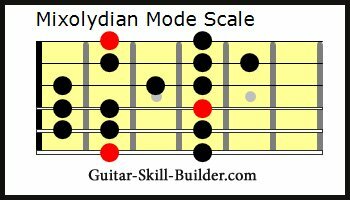 The Lydian Mode scale is a dramatic sound. 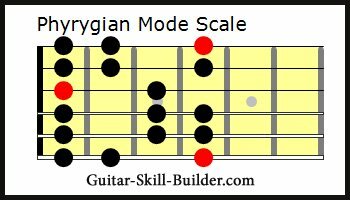 Click on the image below and click full screen button to expand to high quality guitar Lydian scale mode tab. The Mixolydian Mode has a bluesy feel to it. 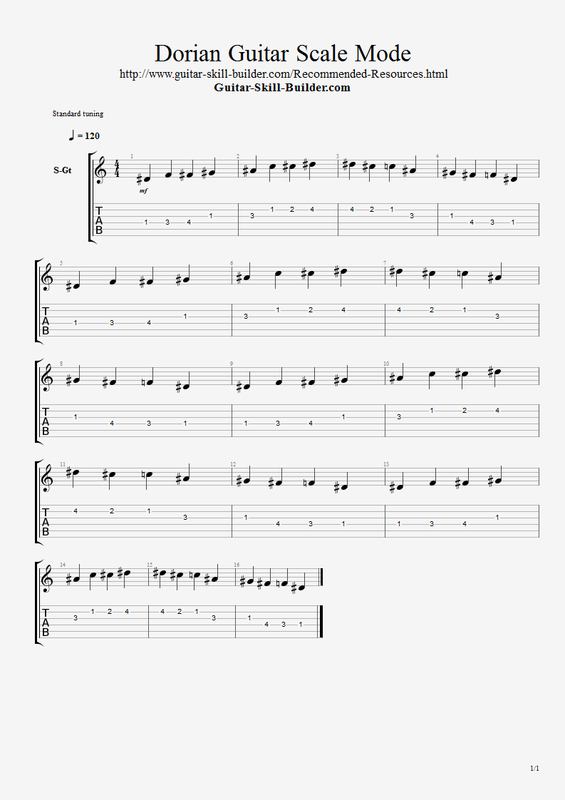 Link to Guitar Pro File of the Mixolydian Mode Guitar Scale Tab. 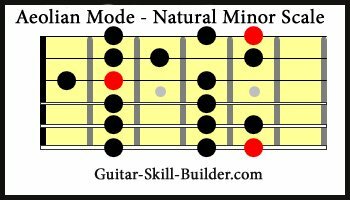 Click on the image below and click full screen button to expand to high quality guitar Mixolydian scale mode tab. The Aeolian guitar mode is good to express the pain you are feeling in your fingers right now. 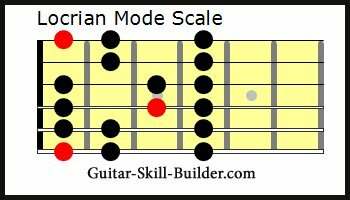 Link to page dedicated to the Aeolian Mode Scale. Link to PDF file with all 5 positions of the Aeolian, natural minor Scale. 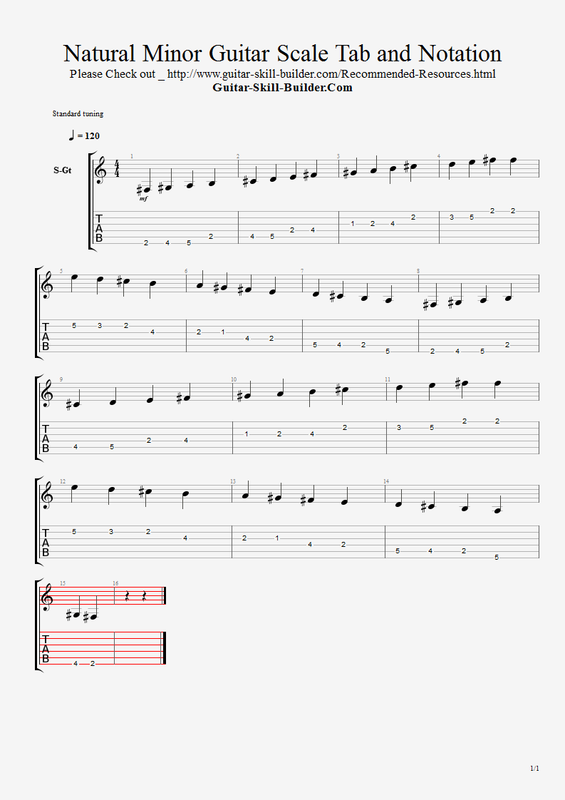 Link to Guitar Pro file of Aeolian, natural minor scale tab. Click on the image below and click full screen button to expand to high quality guitar Aeolian scale mode tab. The Locrian Mode has a sinister sound to it. 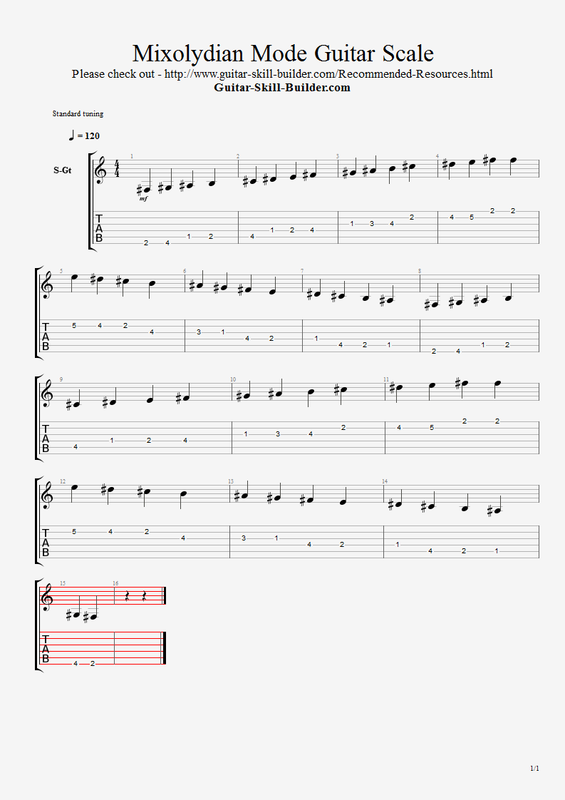 Link to page dedicated to the Locrian Mode Guitar Scale. 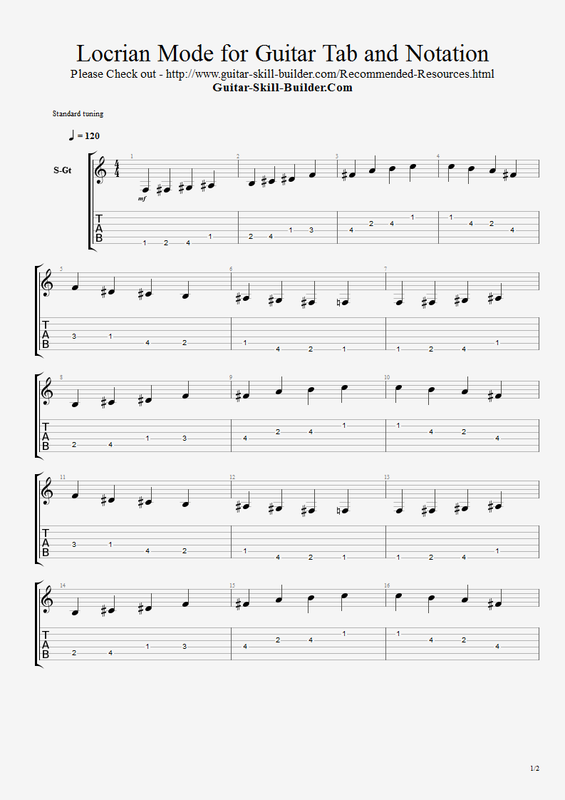 Link to Guitar Pro file of the Locrian Mode Guitar Scale. Click on the image below and click full screen button to expand to high quality guitar Locrian scale mode tab.